Hello lovelies! 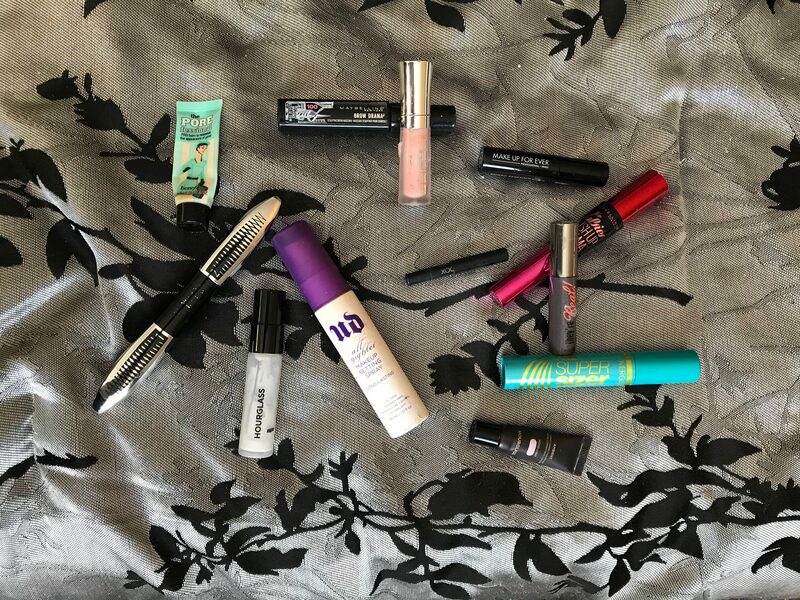 Welcome come back to the final installment of my 2017 empties! I really enjoyed seeing everything that I’ve used up in the last year. I know a lot of the items that I’ve used up over the course of the year have been sample sizes. Many of them I’ve received them in my monthly Sephora Play box. I don’t know about you, but this girl is on a super strict budget and not able to buy the full sizes of many of these products. There have been a few that I absolutely fell in love with and did go out and purchased the full size. Before I continue rambling on and on, lets jump in the makeup and random bits that I’ve used up in 2017. I used up three primers this year. First one is the Benefit Porefessional primer. When I first started to use this it blurred my pores and made my foundation and skin look amazing. After a little while, either my skin changed or it just didn’t like working with the foundations that I was using. It consistently made it look like my foundation and nose was peeling. It looked dry and patchy and just stopped working for me. The next two primers are by Hourglass. The first one being the Hourglass Veil Mineral primer. I love, love love this! I purchased this and wish that there was a size between this and the full size. I would purchase that in between size, but the largest size I feel would go bad by the time I would be able to use it all. The other primer is the Ambient Light Correcting Primer in Mood Light. I really liked this primer, I am still on the fence as to whether or not I would repurchase this. It made my skin look nice and radiant, but I’m not sure it is worth the money. I used up five mascaras. I used up a sample of the Benefit They’re Real mascara and the Make Up For Ever Smoky Extravagant Lash mascara. They’re Real I liked, this would be close to my holy grail status, but I think I can find something better for me. The Smoky Extravagant Lash, I really liked, but this constantly got all over my cheek and my lid when applying. The next mascara is the CoverGirl The Super Sizer mascara. This is easily a YouTube made me buy it item. I have a love-hate relationship with this item. I liked the mascara but there was just way too much product on the brush. The brush is super tiny and the mascara would get all over the place. I want to like this as a whole but the brush really made it difficult to. The last two mascaras I just did not like and definitely would not repurchase. They are the Maybelline The Falsies Pushup Drama mascara and the L’Oreal Voluminous Superstar mascara. The Maybelline mascara I just did not like at all. It didn’t do much for my lashes and I think the formula was a little too heavy for my lashes. The L’Oreal mascara, I liked without the first step. I think if they sold it as just a plain mascara and not a 2-step product, I would consider repurchasing this. The last two makeup items which are both holy grail status items for me are the Maybelline Brow Drama in 100 Deep Brown and the Urban Decay All-Nighter makeup setting spray. You’ve seen both of these in some of my monthly favorites. I love both of these items. I have repurchased both of them, and will probably continue to repurchase them forever. The last group of items that I’ve used up or decluttered, some have already repurchased and some just won’t be purchased again. The items that I will not be repurchasing are the E.L.F. lip scrub and OPI nail polish in the shade shown. I forgot to write down the name of the shade and I’ve already thrown it out. I also won’t be repurchasing the OPI base coat or the E.L.F. face brush. The base coat didn’t do much to help make my nail polish left. The E.L.F. brush just didn’t work well with multiple products, it is however, very soft and if it didn’t fall apart on me and actually work, I would definitely repurchase this brush. I also think that I wouldn’t repurchase the Nivea lip balm. I liked it but I have my holy grail won’t use any other lip balm for the rest of my life, and I have about 10 backups of those. These products are the ones that I will repurchase over and over again, and will remain in my collection for a long time. First up is the Neutrogena oil-free eye makeup remover, love this and will repurchase this again and again. I also really like the Red Carpet Brilliance gel coat. This is a declutter item. The brush somehow split and the polish got too thick for it to even use. My holy grail toner, probably will never try out another one, actually never say never, but you get the point The Tea Tree Toner Water. I love, love, love this. I’ve probably have purchased at least 5 bottles of this since I started using this. Last but not least is probably my biggest standout item of 2017. It is the Bumble and Bumble Don’t Blow It hairstyler. This has helped me get my hair back to its natural state. Ever since I’ve started using this and stopped straightening my hair and blow drying it, my hair hasn’t been better. I originally got a sample of this in a Sephora Play box, and I ordered the full size during the VIB Sale. That’s everything! I hope you enjoyed this series. 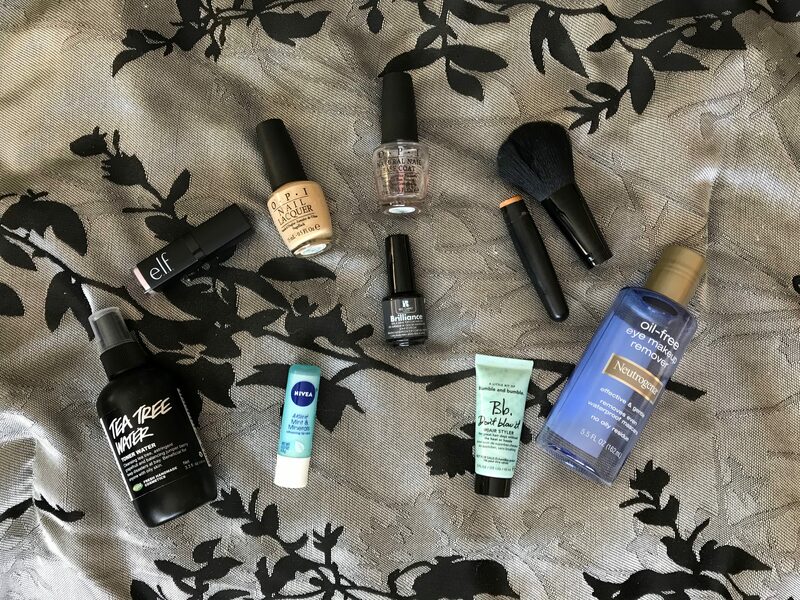 I mentioned at the beginning of this post that many of the items throughout this series are samples or deluxe sample sizes, but fear not! I have a huge haul post coming soon! I’ve been wanting to dive into everything that I purchased, and with the exception for one item, I haven’t touched any of the items. When I mean huge haul, there may be more than 3 eye palettes in there too. I hope you all have had a great start to your 2018. Have a great week! Hi all!! Today’s post is all about the nails. I’ve decided that Mondays will be themed as Mani Mondays! From when I was a young girl I always loved getting my nails done at a salon or painting them myself. I do have to say that I have gotten pretty good at painting my own nails. This definitely saves me some cash, but I do love my nail polish. As you saw in my previous clear out posts, I had quite a collection of nail polish. In the spirit of Halloween, I chose to go with orange nails! 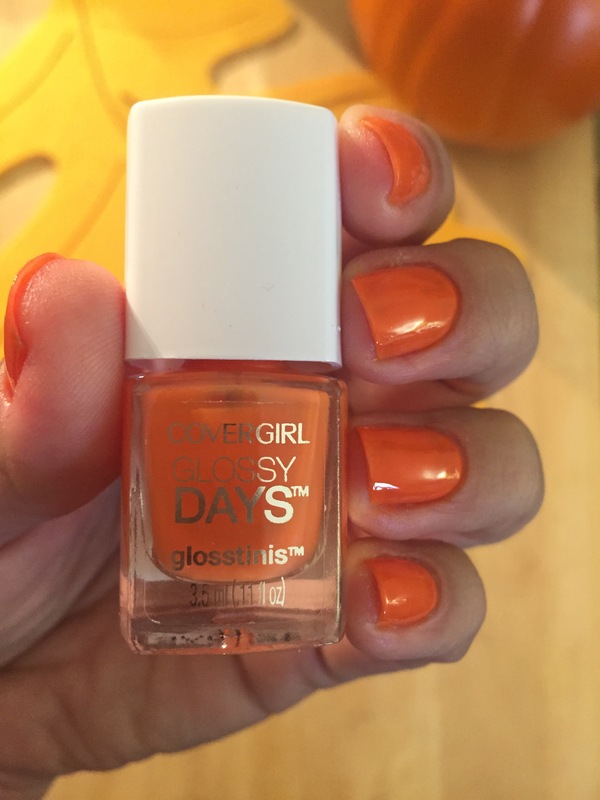 I used Covergirl Glossy Days Glosstinis in the shade #ElectroGlow. I can’t lie. This shade is definitely a little more traffic cone orange than pumpkin orange, but it is orange and it’s Halloween week! I hope that you will enjoy this new series! Have a Happy Monday!!! Hi Gals! Today I’m sharing 5 of my favorite nail polish colors for the summer! I chose these colors because I love the shades. They are all different in their own way. Summer time is every girls chance to experiment with bright colors. The easiest way to do that is through nail polish. For myself, I can’t rock a bright orange lipstick. I would love to but with my complexion I would look like a clown. I instead rock a traffic cone orange shade on my nails. As for white polishes, a good one is few and far between. Different formulas I’ve had in the past come off too much like white out. The Butter London formula is fantastic, and the white blends well with my skin tone. As far as the pale, mint green and shades of pink, you can never go wrong with these. As the mermaid and beachy trends seem to be taking off, you don’t have to go very far to find a shade that works for you. Essie’s Cute as a Button is on my nails probably about 80% of the summer. It’s my go to color when I can’t decide what color to paint my nails next. I hope you enjoyed this post. Share your favorite polish shades in the comments. I would love to know what your favorites are! Have a fantastic weekend! See you next week!